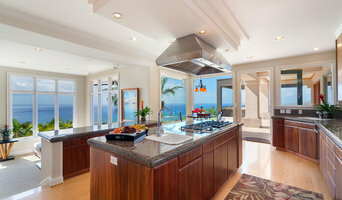 Honolulu's Preferred Custom Cabinetry Specialists | Best of Houzz! ZWW is a licensed contractor that designs and manufactures unique custom cabinets and furniture. We build everything in our 10,000 sqft facility, so we have total control of the product quality. All materials are purchased from local suppliers, a practice that supports the Islands’ economy. Tom Zelko has owned his own successful cabinetry business in Hawaii for more than 30 years; he has won many design awards. From garages, home offices and media centers to kitchens, pantries and vanities, we design and build custom cabinetry for residential and commercial projects. Our California Closets custom storage solutions and Sliding Door Co. interior doors and room dividers will enhance any space, large or small. Our goal is to add value to your home through great designs that inspire. Locally made, locally committed to Hawaii since 1986. For over 10 years, Bekin Cabinets Hawaii has been fabricating quality frameless kitchen and bathroom cabinets for Hawaii's homeowners. Built-to-order and custom cabinets are made locally in Honolulu at our Kalihi woodshop. Established in 2014, 88 Enterprises, Inc. has become one of the leading custom cabinet fabricators on Oahu. We strive to provide our customers with the highest quality products and detailed craftsmanship. Award winning woodworker and furniture designer based in Kailua, Hawaii. Specializing in custom designed furniture, cabinets, doors, tables, chairs, bar stools, shelving, elegant storage and much more. All projects include detailed 3D renderings before fabrication to make your vision come to life and create beautiful, thoughtfully designed custom woodwork. High end custom cabinet and furniture design and fabrication. PACIFIC CRAFTWORKS MEET OUR EXPERT AND FRIENDLY TEAM We welcome you to visit our showroom to see what we have to offer. Our custom cabinetry is made of the highest quality with affordability in mind. We pay great attention to the smallest of details to achieve our main objective of Customer Satisfaction for not only providing the quality product that has the looks and feels more luxury but also an affordable price for everyone can experience. One of the main reasons why Essential Cabinet Refacing is so successful is because it abides by the philosophy of listening to our customers and hearing what their needs are. Our customers call for one reason; they have a need to remodel and the cost is their main focus. Its not a new kitchen you are looking for, it’s a face lift without ripping out their whole kitchen. In addition to refacing, Essential Cabinet Refacing offers new custom cabinets to our customers who are looking for the complete rip out. We also offer design and layout of your new kitchen. Essential Cabinet Refacing offers new custom doors, drawers and hardware in a variety of colors, styles, and materials to choose from. HANDCRAFTED CUSTOM CABINETS Enjoy the look and feel of cabinets tailored to you and your lifestyle. Receive your custom designed cabinetry in as little as 2-3 months. We offer unlimited style choices and an incredible selection of quality European hardware. Our cabinets are handcrafted in Hawaii, using termite-resistant wood engineered for our island environment. AUTHORIZED SUB-ZERO, WOLF, MIELE AND PERLICK DEALER Smart appliances can keep your food fresher for longer, cook dishes effortlessly, and help you prepare your most impressive meals, ever. From refrigerators, ranges and cooktops to wine storage, beverage centers and dishwashers, Hawaii’s best kitchens feature Sub-Zero, Wolf, Miele and Perlick brand appliances. Visit our showroom and explore how we can make your kitchen the favorite part of your home. We’re located in Na Lama Kukui building (formerly Gentry Pacific Design Center) at 560 N. Nimitz Hwy, #123. Kailua Cabinets & Architectural Woodwork is a small shop specializing in truly custom cabinetry, furniture and millwork for both residential and commercial projects. We work closely with our clients to provide a product that meets or exceeds expectations. Designer and supplier of custom kitchen and bath cabinetry. Helping homeowners and contractors to create spaces that make the best use of space and function. 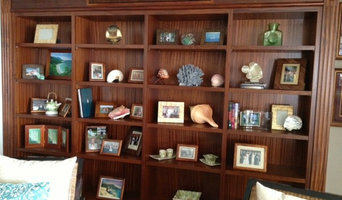 Specifying unique materials that perform and last in Hawaii's tropical environment. Offering the latest innovations in cabinetry, countertops, flooring materials and backsplashes. Please contact me for a free consultation. Cabinetry professionals design, construct, refinish and repair banks of conventional cabinets, but they also create customized storage and shelving for home offices, playrooms, bedrooms, media rooms and other spaces. 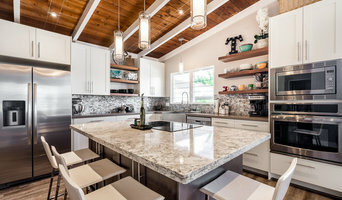 They’re in the know about Hawaii design trends and different cabinet styles, as well as the latest in special inserts and other options that boost functionality. Cabinetry professionals also can craft furniture to your specifications, such as a corner cabinet for a kitchen or a dining room hutch. 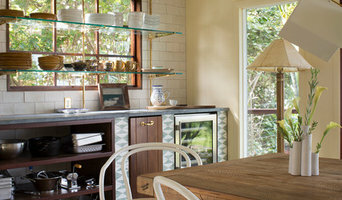 In addition, Honolulu, HI cabinetry pros can help you give worn or dated cabinets a makeover. They can replace doors; add glass inserts, decorative moldings and other details; or give cabinetry a new coat of paint or specialty finish. Your cabinetry professional might work closely with a Hawaii kitchen designer, builder, remodeling contractor or interior designer. Here are some related professionals and vendors to complement the work of cabinets & cabinetry: Kitchen & Bath Designers, Kitchen & Bath Remodelers, Interior Designers & Decorators, Closet Designers and Professional Organizers, Woodworkers & Carpenters. Find a cabinetry professional on Houzz. Narrow your search in the Professionals section of the website to Honolulu, HI cabinets and cabinetry. You may also look through Hawaii photos to find examples of cabinets that you like, then contact the cabinetry professional who worked on them.